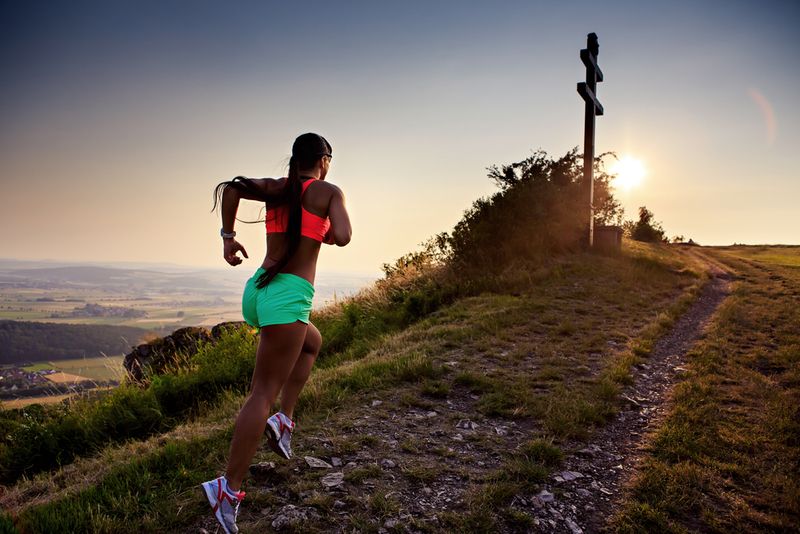 Mindy N. asks: After a long run my leg muscles are tired, but my heart is not. Why doesn’t the heart need any rest? Anywhere from 60 to 100 times every minute of every day of every year of your (hopefully) long life, your heart beats. Unlike the other muscles in your body, however, your heart almost never gets tired . . . until it stops for good. Here’s why. The human body is composed of three types of muscles, skeletal, smooth and cardiac. Nerve impulses (action potentials) traveling down the motor neurons of the sensory somatic branch of the nervous system [to] cause the skeletal muscle fibers at which they terminate to contract. Because it has not been necessary in the course of evolution for humans to be able to flex our skeletal muscles for prolonged periods of time, the total volume of skeletal muscle contains an average of only 1 to 2% mitochondria. This is an entirely sufficient energy source for such intermittent muscular tasks as walking or running. Supplementing its mitochondria reserves, skeletal muscle can also use glycogen (stored energy) to produce ATP, the basic unit that transports and releases energy across cells. Smooth muscle is exactly as described – smooth with no striations. Found in your hollow internal organs (except the heart), smooth muscles work automatically, helping you digest food, dilate your pupils and go pee. In a synchronous wave that sweeps from the atria down through the ventricles and pumps blood out of the heart. Anything that interferes with this synchronous wave . . . [like a] heart attack, may cause the fibers of the heart to beat at random – called fibrillation. Do run to the heart, but their effect is simply to modulate – increase or decrease – the intrinsic rate and the strength of the heartbeat. Even if the nerves are destroyed (as they are in a transplanted heart), the heart continues to beat. The total volume of the heart . . . is [comprised of] between 30 and 35% mitochondria. That massive amount of energy-generators means cardiac muscle, in a healthy state, need never rest: there is always some energy being transferred to the muscle at the same time that more energy is being derived from caloric intake. Greater dependence on cellular respiration for ATP . . . has little glycogen and gets little benefit from glycolysis when the supply of oxygen is limited. Thus anything that interrupts the flow of oxygenated blood to the heart leads quickly to damage – even death – of the affected part. This is what happens in heart attacks. Although it seems indefatigable, the strength of the human heart is not without limits. Recent research has shown that after extremely strenuous use, even the healthiest hearts can suffer damage. Cardiologist Euan Ashley . . . set up a mobile heart lab at the finishing line of the ultra-endurance race “Adrenaline Rush” in the Scottish Highlands. . . . . The winning team . . . collapsed across the finishing line after 90 continuous hours of biking, climbing, swimming, paddling and rope work with virtually no sleep . . . After testing their hearts . . . before and after the 400 km race . . . the scientists determined that the hearts of athletes who finished the competition pumped 10 percent less blood at the end of the race compared with the amount pumped at the beginning. Although a single instance of endurance athletics may not cause permanent damage, more recent research indicates that a lifetime of extreme workouts may. Too much exercise has not been a big problem in America. Most people just run to stay in shape, and for them, the evidence is quite strong that endurance exercise is good . . . There is no doubt that exercise in general is very good for heart health. Contrary to Popular Belief, Lactic Acid Does Not Cause Muscle Soreness After Exercising, So What Does? Why Does Cardiac Muscle Not Fatigue? Why Doesn’t Your Heart Get Tired?